It can also be used to give an unusual, but very invigorating back massage! A fun percussion instrument, the size of a hen's egg from Indonesia. 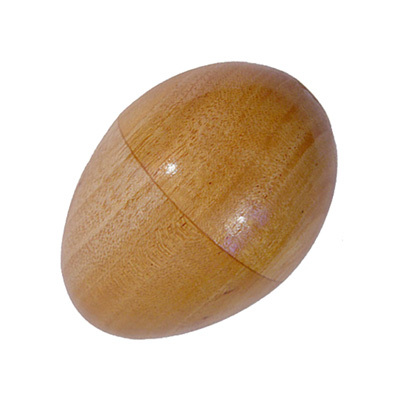 The wooden shaky egg is very popular with "kids" of all ages.